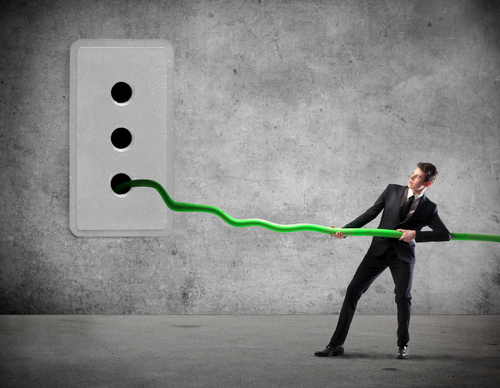 How to Avoid Pulling the Plug on Your Internet Marketing Plan Too Soon - CAYK Marketing Inc.
One of the great myths of Internet marketing is that you should expect to see results very quickly. Granted, promoting your business online can be much faster than traditional techniques like telemarketing or direct mail, but even the most well-researched and engineered campaigns don’t work overnight. This is understandably difficult for business owners and other clients to understand, and also raises a tough issue: How do you give your campaign enough time to work without investing too much into something that’s never going to work? In other words, how do you avoid pulling the plug too soon, or hanging on to a losing Internet marketing strategy too long? Traffic to your business website. If more people are viewing your business website than before, it’s likely that new leads and sales will also catch up before too long. Phone calls from new potential customers. This is another sign that people are checking out your website and like what they see. Even if they aren’t buying right away, they might schedule appointments or ask for more information. Emails to your company. If someone takes the time to email you and ask follow-up questions, they probably have a strong level of interest. New comments on your blog. Although this isn’t as straightforward as a sales inquiry, lots of comments on your blog show that people are paying attention to your thoughts and ideas. Ultimately, that can only mean good things for your Internet marketing. An increasing search engine rank. Lots of businesses get impatient because they want to rank first on Google, but steady improvement is a good sign, even if it doesn’t earn you a prime search engine spot right away. Improvements in any of these areas could show that your Internet marketing plan is moving you in the right direction. You don’t want to make rash decisions when you’re already doing the right things, so use these indicators to gauge your step-by-step progress and make the best decisions going forward.